Camp Caillet is located just off Highway 19 on Biggs Road, Nanaimo. The camp is available to Scouting and Guiding groups and other organisations and is managed by Scouts Canada and a volunteer committee that oversee the maintenance and upkeep of the camp. The camp has a fully covered fire pit with seating for up to 200 youth, a professional kitchen, heated cabins for meeting and sleeping, a covered picnic shelter and lots of space for camping and activities. The camp is fully self-contained and offers a safe place for youth to meet and take part in a variety of activities throughout the year. 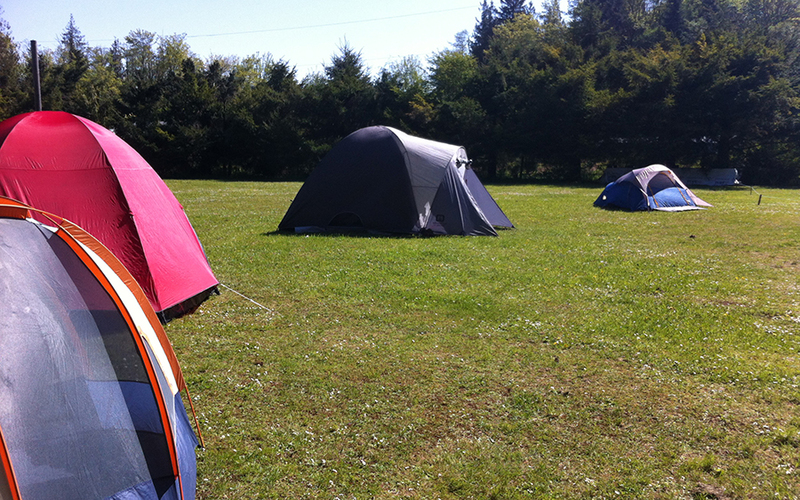 Camping space is available on both sides of the river, with plenty of grassed camping sites to choose from. There are toilets and water on both sides for campers. The camp provides firewood for visitors and we have both the covered and an outdoor fire ring available for use. Individual camp spots have metal fire rings. The large field is excellent for wide games and activities, and is fully fenced for safety. We have plenty of parking available and area easily accessed just off Highway 19 (Jingle Pot Road) junction, near Brannen Lake. Camp Caillet also has canoes available for hire to visiting groups.